The UNL Bee Lab pursues research questions and extension programs focused on better understanding various stressors impacting pollinator health. 1. Hive health inspections: They are one hour for $50 and include recommendations based on the pest & pathogen diagnostic and a varroa test, we will also answer any follow-up questions. More information is pinned on our facebook wall. Just send us a message, email or call to schedule. 2. APHIS (Animal/Plant Health Inspection Service) program for the USDA: If you have 10 or more hives in one location, you can qualify for a free honey bee health inspection through the APHIS USDA program. This feeds into the nationwide surveys on honey bee health and colony losses and provides you with feedback on the health of your apiary (https://bip2.beeinformed.org/reports/state_reports/state_report/?year=2016&state=NE ). Send us a message, email or call to get on our list. 5. Mentorship: We take passionate undergrads under our wing for part-time work, UCARE (Undergraduate Creative Activities and Research Experience) projects they have proposed, or if they are interested in job shadowing within the field of Entomology. More information on UCARE can be found here: https://ucare.unl.edu/. Email/call for more information. 7. Beekeeping Workshops: Each year, we provide workshops for Year 1, Year 2 and advance beekeepers. It is a great opportunity to learn factual and research-based practices, walk away with workbooks and reliable information, tools and credible connections in the beekeeping community. 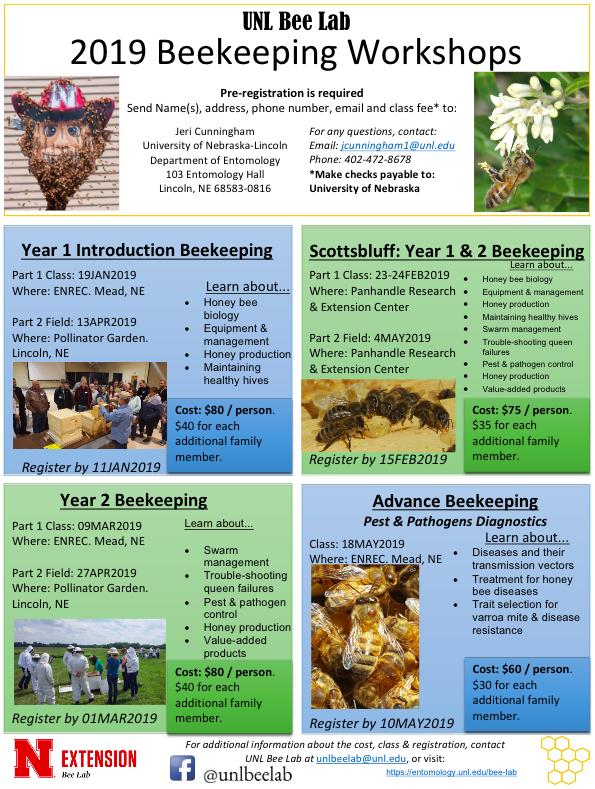 More information is posted on our website at https://entomology.unl.edu/bee-lab, and facebook wall/ events. 9. 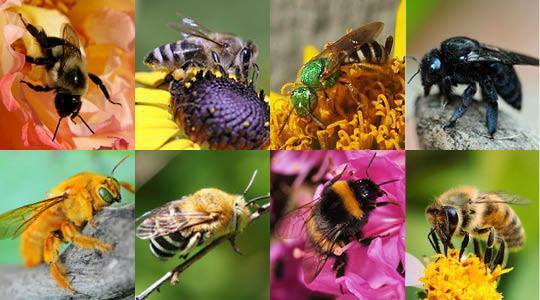 ANSWERING YOUR QUESTIONS: We are here to help you, help pollinators! We have so many informative resources from value-added products, hive management, recommended native food sources to plant for bees and more. This is an introductory level course that focuses on everything you need to start beekeeping, including topics on beekeeping equipment, protective gear, honey bee biology, stressors, and management basics. We will also touch on Year 2 topics focusing on how to maintain healthy honey bee colonies. Learn how to setup the equipment, install and handle bees safely, and perform hive inspections. Topics include swarm management, splitting colonies, reversals, pest and pathogen management, honey production, and value-added products. Part I of the course includes lectures by several speakers & hands-on activities. Part II of the course is a field day that gets you in the hives and takes the lessons from Part I into practice. Cost: $75 per person includes beekeeping handbook, lecture slides, equipment catalogs, Varroa kit refreshments, Lunch Saturday and a light Breakfast Sunday. $35 for each additional family member (does not include handbooks). This is an introductory level course that focuses on everything you need to start beekeeping, including topics on beekeeping equipment, protective gear, honey bee biology, stressors, and management basics. Part I of the course includes lectures by several speakers & hands-on activities. Part II of the course is a field day that gets you in the hives and takes the lessons from Part I into practice. Learn how to setup the equipment, install and handle bees safely, and perform hive inspections. This course builds upon the basic management practices covered in Year 1 beekeeping and focuses on how to maintain healthy honey bee colonies. This course is meant for beekeepers with at least one year of experience. Part I of the course includes lectures by several speakers & hands-on activities. Topics include swarm management, splitting colonies, reversals, pest and pathogen management, honey production, and value-added products. Part II of the course is a field day that gets you in the hives and takes the lessons from Part I into practice. This course is meant for advanced beekeepers with 3+ years of experience. Learn about diseases and their transmission vectors, treatment for honey bee diseases, and trait selection for Varroa mite and disease resistance. Degree(s): BS in Zoology at Humboldt State University, Arcata, California and received my MS degree in Entomology at Washington State University under the advisement of Dr. Walter Sheppard. I continued onto a PhD program with Dr. Marla Spivak at the University of Minnesota where I examined the effects of systemic neonicotinoid insecticides on honey bee and bumblebee queens and colony development. 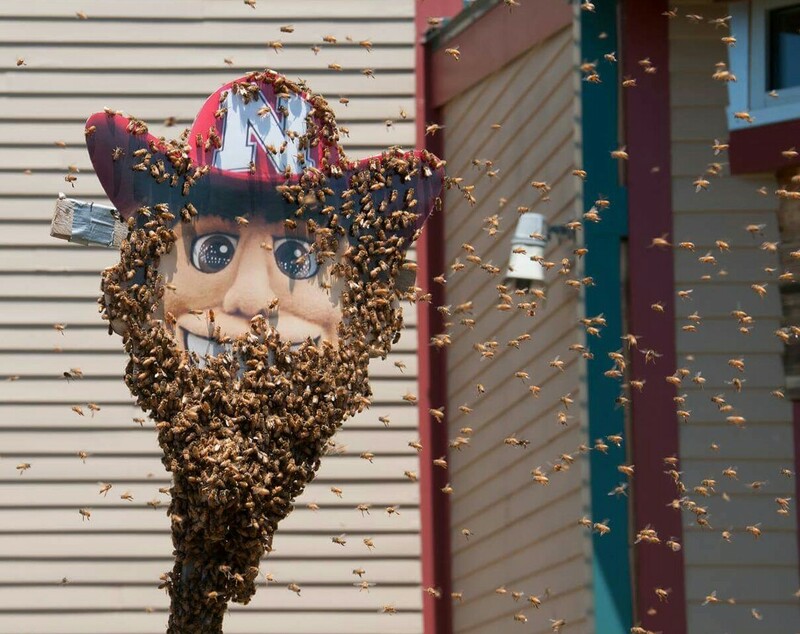 I've been the Assistant Professor and Extension Specialist for the UNL Bee Lab since Fall 2015. In my new role at UNL, I'm committed to developing a pollinator health program to help beekeepers, scientists, policy makers, and land managers understand the underlying stressors in bee health and their interactions with other biotic and abiotic factors, such as environmental toxicants. My goal is to integrate the research and extension efforts with policy to inform the regulatory-decision making process by identifying risk mitigation opportunities and best management practices that will better protect beneficial pollinators in agricultural and urban landscapes. (https://entomology.unl.edu/faculty/dr-judy-wu-smart). 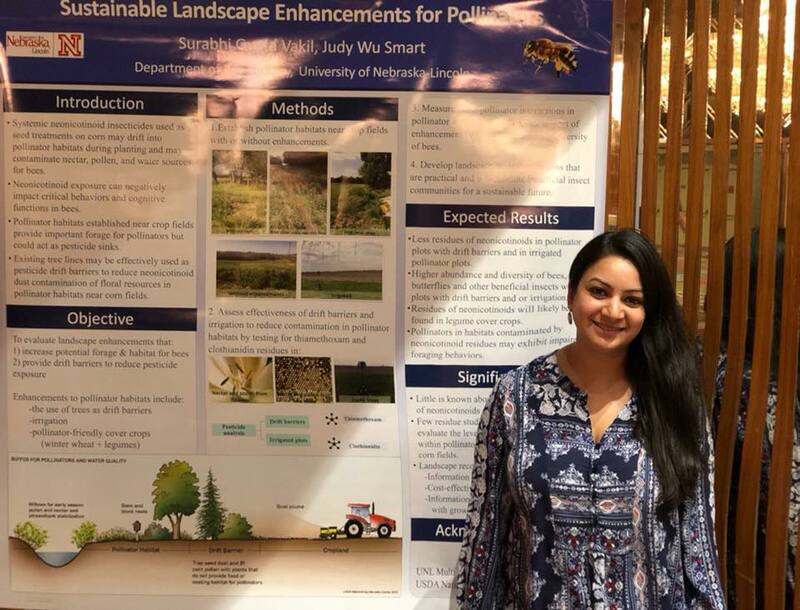 My research is about studying ways to enhance the agricultural landscape to increase forage availability and reduce neonicotinoid insecticide exposure to improve the health of bees. These enhancements are sustainable and practical solutions for growers which will make adoption of pollinator conservation practices easier. Another aspect of the research is to determine the negative impacts of Bt pollen to monarch butterfly larvae under field conditions. The research involves quantification of Bt pollen on milkweed leaves, determination of potential concentration of Bt protein that can pose negative impacts on monarch butterfly population. 2017 update: Since it is the first year of the research project, Pollinator plots were established at ARCD in Mead, NE. Transects were conducted to determine background diversity and abundance of the pollinators, Milkweed leaves were collected from the plots adjoining corn plantations, were analysed to determine the concentration of the Bt pollen on them. My project has 4 components; identifying ornamental plants that wild bees use in urban landscapes, identifying gardening practices that affect pollen and nectar rewards for wild bees, creating a database of current research of the bees of Nebraska, and the creation of the Nebraska Pollinator Habitat Certification Program (https://entomology.unl.edu/pollinator-habitat-certification). This program is done in conjunction with three Nebraska Extension personnel and strives to educate the public on creating habitat for bees. We are currently up to 56 certified habitats across the state. I am studying wild bees on wildflower islands on roadsides in eastern Nebraska. I have always loved being in nature and learning about the natural sciences. I have had a variety of jobs since graduating college, including production assistant on my family’s corn and soybean farm in South Dakota, naturalist intern at an outdoor campus, Peace Corps volunteer in the Dominican Republic, and research technologist for UNL’s Agroecosystems Entomology Lab in North Platte. 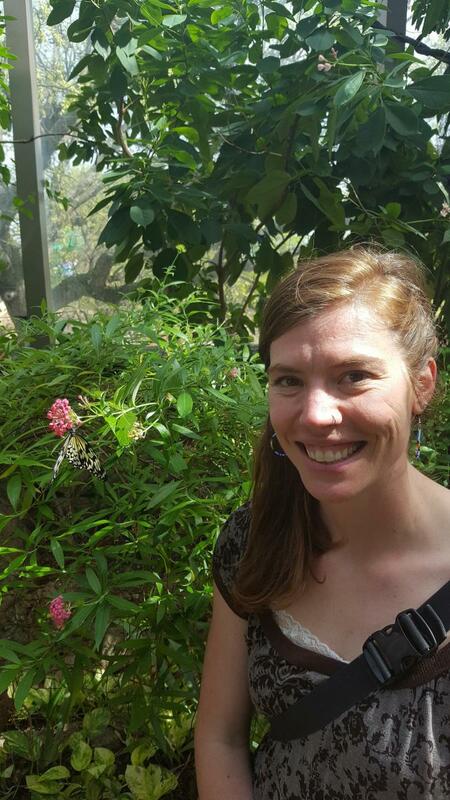 As a research technologist, I worked with many different groups of insects that impact agricultural ecosystems. I fell in love with pollinators, especially native bees, which led me to my current position here in UNL’s bee lab. I want to spread my enthusiasm for our native bees as well as honeybees to the wider community. Roadside wildflowers update:The slowly establishing wildflowers in the first year of seeding produced few flowers. 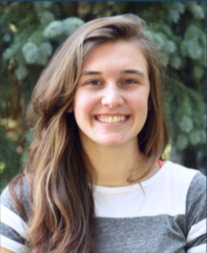 With a low amount of floral resources in the seeded plots, Kayla Mollet, project graduate student, has focused on quantifying a baseline for bee abundance and composition in the study area and on the plots. She has been sampling areas with abundant wildflower blooms within the study site (a 4-mile stretch of Highway 75) as well as sampling each of the 16 plots. The sampling protocol involves identifying bees along 3 transects in each of these high-bloom areas (off-plot transects) as well as on plot transects every other week. Data is being entered and will be summarized in the next quarter. Pivot corners update:Field research took place in 2015 and 2016. Enhanced and non-enhanced pivot corners and locations on the edge and interior of two adjacent corn fields were assessed for wild bee abundance and diversity using colored pan traps every 3 weeks over two summers (2015-2016). Bees counted in all study locations include twenty-eight genera and five families: Apidae, Andrenidae, Colletidae, Halictidae, and Megachilidae. Bee abundance was higher in pivot corners compared to the edge and interior of the maize field. Data is being analyzed and written up. I began my masters in the Fall of 2016. I am studying wild bee communities within Lincoln's Prairie Corridor, specifically how their diversity & abundance are affected by various land management techniques. I have carried out wild be surveys with both USFWS and USGS, and as a component of my research I will continue to manage the Pollinator Library website & database (https://www.npwrc.usgs.gov/pollinator/home). 2017 Update: During the 2017 field season I collected a little under 300 plant-pollinator interactions in prairies under various land management practices. Of the identified specimens, the interactions span across ~60 plant genera and ~20 bee genera. I am examining how pesticide residues impact the health of the hive, and how they impact the fecundity of varroa mite which is a major pest of honey bees. My research will also look at dead bee traps and how effective they are, as well as comb replacement that is more economic and easier. Previously, I worked at Ohio State University as a Research Assistant in their Honey Bee Lab. During my time there, I assisted graduate students on research regarding pesticide toxicology and the effectiveness of different Varroa mite treatments. At OSU, I conducted research regarding the effectiveness of drone brood removal as a form of mite treatment and how we can utilize drones as edible insects. Here at UNL, I am looking at how the Center for Rural Affairs "Women in Beekeeping and Farming" program impacts beekeepers and landowners. My research primarily focuses on how this program impacts beekeeper/landowner knowledge, beekeeper/landowner self-efficacy, and honey bee health. 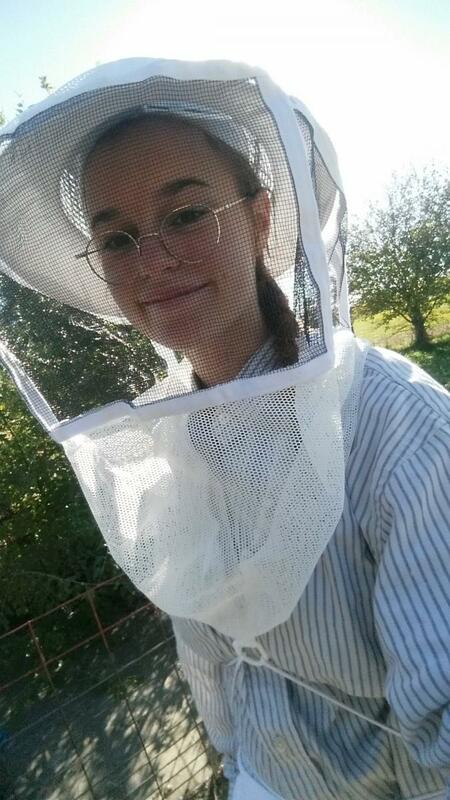 Additionally, since this program is targeted towards women, one of my goals is to describe their current and past experiences as women beekeepers. I also work as the Entomology Department's Bruner Club Outreach Coordinator. I love going out into the community and educating people about insects! I joined the lab in May 2018 after receiving a UCARE (Undergraduate Creative Activities and Research Experience) grant to conduct an independent research project during the summer of 2018. My research explores the potential effects of pesticide residues in brood comb on the behaviors and development of honey bees, with a primary focus on hygienic behavior. I also help the lab by assisting other students and lab personnel with various tasks, such as managing honey bee colonies, helping conduct bumble bee surveys, etc. Since becoming a part of the lab, I have been given great opportunities to expand my knowledge on insects, gain valuable research experiences, learn how to keep bees, and better myself professionally. I look forward to using these experiences to contribute to bee conservation efforts, to continue working with insects, and to pursue a master’s degree after I graduate from UNL. I was a recipient of the Nebraska Beekeepers Association scholarship and got my first hive in the summer of 2018. I’ve been exploring the world of beekeeping ever since, and decided to join the Bee Lab crew to further my knowledge of native bees/wildflowers and solutions to widespread bee decline. 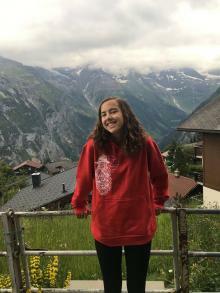 My future plans are to become an environmental engineer and work with water or atmospheric quality, hopefully innovating new solutions to pollution and climate issues. I am an undergrad research assistant. I love bees and learning about them. I am also a beekeeper myself. I want to be an agriculture education teacher and FFA advisor in the state of Nebraska. I plan on keeping bees for a long time to come. 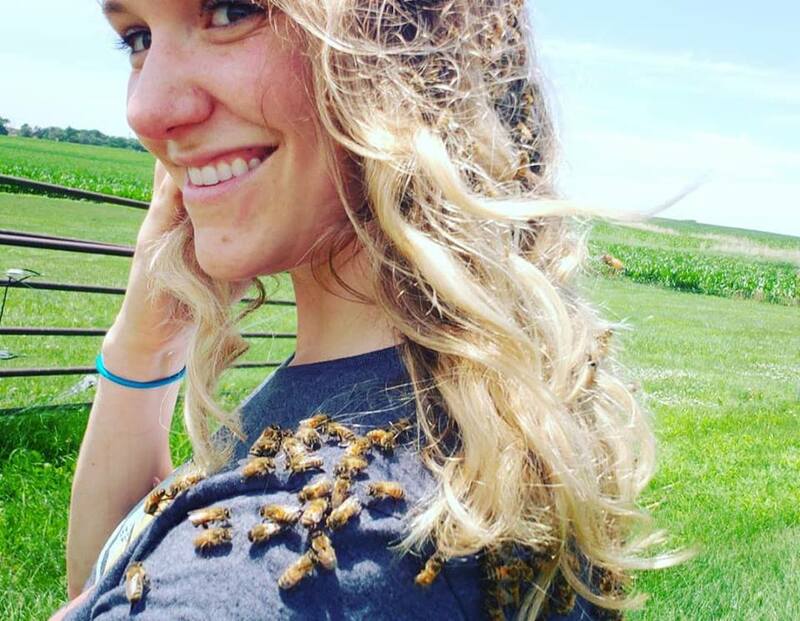 I want to gain more hands-on experience to help me understand more about the natural environment and how bee populations in Nebraska are affected by climate change and neonicotinoids. 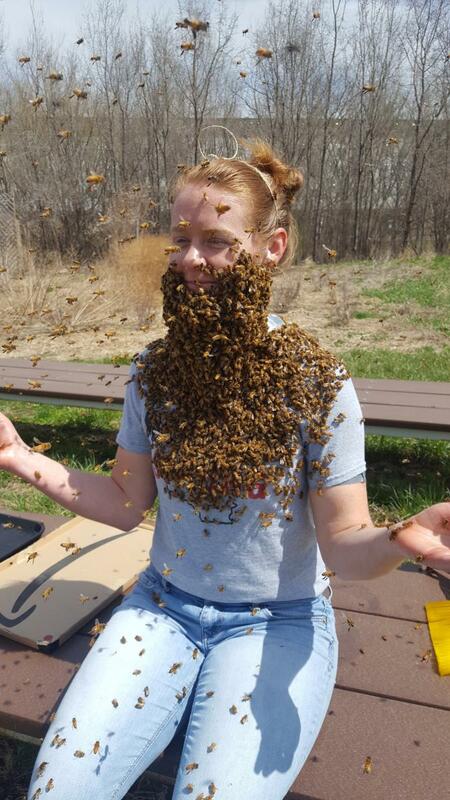 I am the Apiary Manager for the UNL Bee Lab. In my role as Apiary Manager, I manage the bee hives we have here at UNL for research & extension. I order and maintain the beekeeping equipment. I help conduct preliminary research studies, coordinate and put on extension events, assist in teaching beekeeping workshops, order lab supplies, perform honey bee health surveys across the state, answer beekeeping questions we get from the public, un-tip porta-potties and ward off sugar syrup hungry raccoons. I have been keeping bees with my wife since 2010. In 2009 we took a Beginning Beekeeping class at Southeast Community College –Continuing education here in Lincoln. I also sit on the board for the Nebraska Beekeepers Association as the Information Director. In my spare time I tend to my personal bee hives with my wife, Kat. I also enjoy gardening and video games. Coordinating with beekeeping associations across the Great Plains to standardize educational materials and field training activities, assist with extension programs, and review applications for certificate advancement. Other duties include assisting with the development of the Great Plains Master Beekeeping website, social media, newsletters and other forms of promotion and recruitment for the program as well as offering exploratory workshops for underserved communities that will be co-organized with our partnering organization, The Center for Rural Affairs, and other collaborators. This is some of the work we do here at the lab but I am blessed in being able to help all the other students with their projects as well. In my spare time I love to grow native wildflowers and plants, woodwork, shoot guns, hike, and tend my own beehive. Degree(s): B.S., 2017, Fisheries and Wildlife: Conservation Biology University of Nebraska Lincoln. Minors in Environmental Science & Biology. As the Outreach Coordinator, I manage presentation requests, media, extension & outreach opportunities and our education program. APHIS (Animal/Plant Health Inspection Service) program for the USDA. The APHIS program surveys honey bees across the state from both stationary and migratory beekeepers and it quantifies the health of the hives. This feeds into the nationwide surveys on honey bee health and colony losses (https://bip2.beeinformed.org/reports/state_reports/state_report/?year=2016&state=NE ). I’m interested in developing the overlap of ecological systems and conservation management. I believe in strengthening the ties humans have with nature in order to address the dilemma of balancing the needs of social, economic and environmental systems. I have aspirations to attend graduate school, and enjoy hiking, pottery, ornithology, brewing mead and building a tiny house on wheels with my better half.